Maybe you like the functionality of cast iron, but aren’t such a fan of it’s very old-school design. Well, here’s something a little more modern. 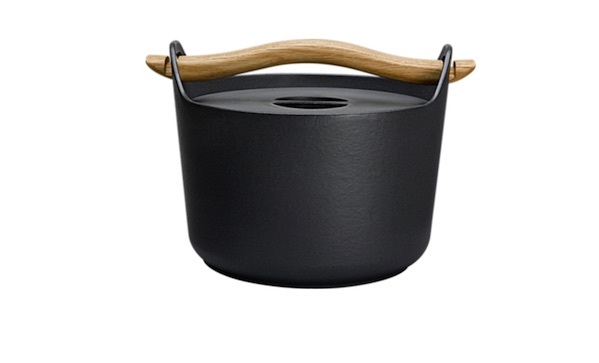 The Sarpaneva cast iron pot ($300 USD) brings Finnish design sensibilities to the impressive heat retention of cast iron. It holds three litres, is enamelled, and has a wooden handle that prevents chipping.